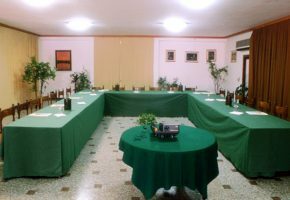 Hotel Portoconte is about more than just seaside holidays! Our complex plays host to 2 fully air-conditioned conference spaces that are ideal for the staging of business meetings, conferences and training courses. is ideal for conferences attended by up to 150 delegates. 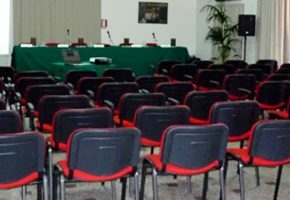 Light and spacious, this room can be arranged in a number of different layouts: “amphitheatre”, “horseshoe”, “boardroom”, or with a custom layout for exhibitions. 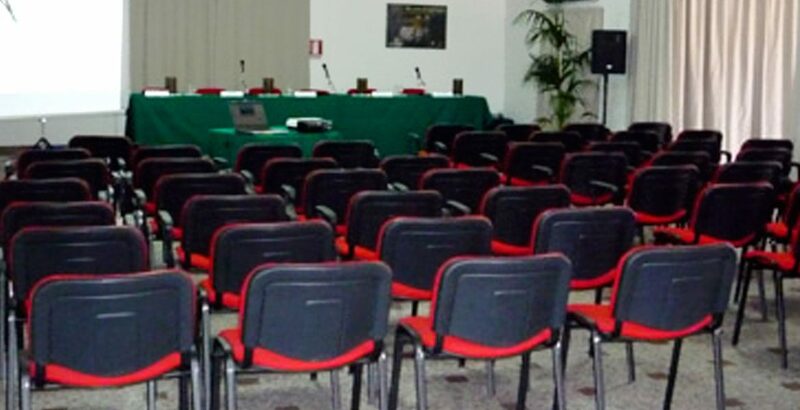 The “Sala degli Archi” benefits from a great deal of natural light and is suitable for events attended by up to 50 participants. 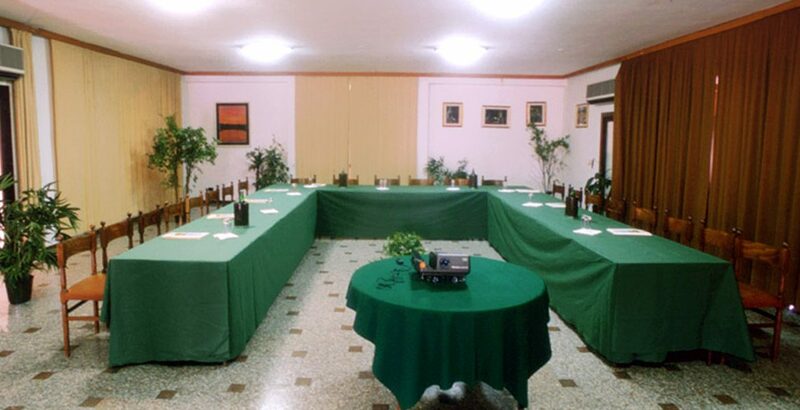 This room can be arranged in a number of different layouts, including “amphitheatre” or “boardroom”, or with a custom layout for exhibitions. We will be delighted to provide you with a tailored quote and menu ideas for your breakfast/lunch meetings and gala dinners. We can easily organise welcome drinks and coffee breaks.